At Iron Age, we love a challenge. If you’ve dreamt up a design for your home, but aren’t quite sure where to turn next- You’ve come to the right place. All you have to do is bring us your idea and we’ll work to make it a reality. With 20 years of experience, we have the skills to take your project every step of the way- From idea to design, fabrication to installation. We’ve got you covered, whether it’s a Custom Gate welcoming clients into your business or a staircase that shines as your home’s centerpiece. Iron Age has the staff, experience, and imagination to complete your project. Maybe that's why countless British Columbians trust us with their ideas, and why we've consecutively won the Consumer's Choice Award for seven years running! We’re also a member of the VRCA and Baeumler Certified. Contact us today to discuss your project! 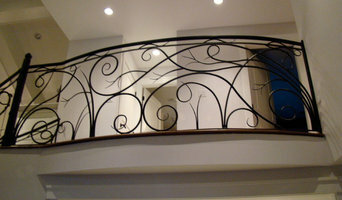 At Riverside Ironworks Canada Inc., we know how important metalwork is. 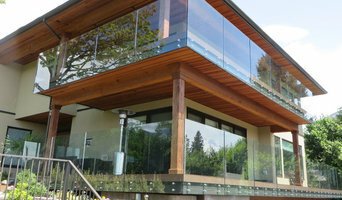 We have been designing, manufacturing, and installing fences, stairs, and railings in North Vancouver for more than 70 years. As a family-owned business, we strive to offer affordable, high-quality service to all our customers. Whether you want to redesign an exterior staircase or install a security gate for your business, you can rely on us for expertise, efficiency, and excellent customer service. We aim to ensure customer satisfaction with every job we do. Before we start manufacturing a product, our customers receive computer drawings and sketches to review. To better aid our clients, we offer free quotes, fast responses, and friendly customer service throughout the entire production process. Jeff and Simon Iron Works Ltd. manufactures a wide range of fence and gate systems as well as railings, sunshades, grilles, screens and louvers products for the commercial, industrial, institutional and retail building and construction markets. These products are available in steel, stainless steel and aluminum. Custom fabrication services allow Jeff and Simon Iron Works Ltd. to provide the products as you designed and want them to be made. We are a C.W.B. (The Canadian Welding Bureau) certified shop. The experienced and C.W.B licensed shop crews have proven their professionalism and resourcefulness for different applications.cwb-logo Jeff and Simon Iron Works Ltd. products are developed to meet the artistic demands of modern architecture. Also, our products can address growing client concerns with security and privacy. Our teams work closely with the architectural community and building contractors to design and fabricate fences, gates, and other products that are aesthetically pleasing and will provide years of trouble free service.Jeff and Simon Iron Works Ltd. steel fence, gate and other products have a great finish with a powder coating, giving them the best corrosion protection in the industry. Available in many color choices, this long lasting powder coat finish ensures protection from the elements, improves rigidity, and virtually ends maintenance by eliminating crazing or fading. UNIQUE BLEND OF TALENTS SPECIALIZING IN CUSTOM METAL FABRICATION All of our work is crafted domestically in our shop by a team of CWB Certified professionals with special attention given to the overall excellence and quality of the final product. Our approach to every project is unique and job specific, always ensuring detailed consideration is given to style and design to achieve a final result which will beautify your living space. We work with our clients to achieve the best possible design and solutions for any project be it Railings, Gates, Staircases, Fences or custom steel work requests. Design and fabrication of artistic wrought iron gates,railings and furniture for the home and garden. Drabek Technologies Ltd. creates customized unique designs with a focus on detail and precise metalwork. We proudly stand behind every piece we create to ensure our customers are satisfied. A love for metal, modern technology, as well as our knowledge and skills help us meet all of your architectural needs through the creation of beautiful and unique products. Falcon Iron Art has a strong relationship with one of the most established forged wrought iron manufacturers in Europe. The Sahinler Iron Company has produced and exported high quality wrought iron since 1985 and has loyal customers in 27 countries. Falcon Iron Art, with exclusive distributorship rights in the western United States and Canada, is backed by Sahinler's excellent reputation in the wrought iron industry. Custom metal works. Design, build, and installation of anything and everything metal. Touch of Class Aluminum & Iron works offers strong and top quality iron gates and aluminum gates. 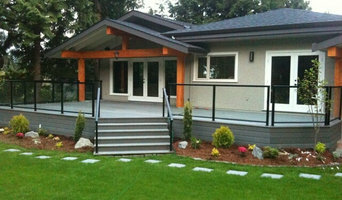 Vancouver gate manufacturer also provides metal railings and fences for homes and businesses. •A-1 STEEL is an Operating Division of A-1 MACHINE & WELDING (1986) LTD. •The company has maintained its certification under DIVISION 2.1 of the CANADIAN WELDING BUREAU for almost twenty years. •All estimates are professionally prepared in house using the latest STRUCTURAL STEEL computerized estimating software. •Most shop drawings are prepared in house using ACAD VERSION 17.1 on a Windows XP Platform. •The company has long-standing relationships with several leading OWSJ and METAL DECK suppliers. •Our erection crew is staffed with qualified journeymen who will handle local or out of town jobs in a prompt efficient manner. •The company has the necessary fabricating capacity and bonding facilities to handle jobs in the 50 to 500 TON range. We at JN Metal provide top of the line custom products with fast installations. For close to 20 years, Blacksmith Art & Design Ltd has created custom iron and metal products, applying our artistic license and collaboratively designing products with our clients. Our clients include residential and commercial establishments. Based in Surrey, Eliros Aluminum & Iron Craft Ltd manufactures a wide selection of aluminum goods. Our products include aluminum pickets, glass guard rails, fences, gates and hand rails. Give us a call today for more information on our custom aluminum products. An ornamental ironworker fabricates bulk iron into the types of structures that a particular home calls for, then installs them onsite. Some of these pieces are mass produced, others custom crafted. Many ornamental ironworkers also have the design skills to fashion unique decorative components. 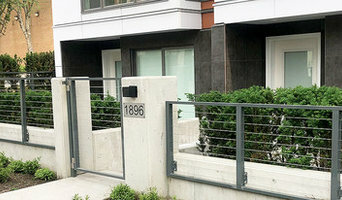 Ironworkers must be trained in safety to create elements such as railings and balconies that both satisfy a home’s aesthetic needs and meet Richmond, BC building codes. Here are some related professionals and vendors to complement the work of ironwork: Fencing & Gate Sales & Construction, Decks, Patios & Outdoor Enclosures, Siding & Exteriors. Find an ironworker on Houzz. 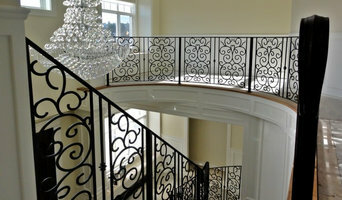 Narrow your search in the Professionals section of the website to Richmond, BC ironwork. You can also look through Richmond, BC photos to find examples of ironwork that you like, then contact the ironworker who fabricated them.